Feel More Confident and Take Charge When Working With Difficult Couples. You'll receive 3 Exercises you can use with your couples today. 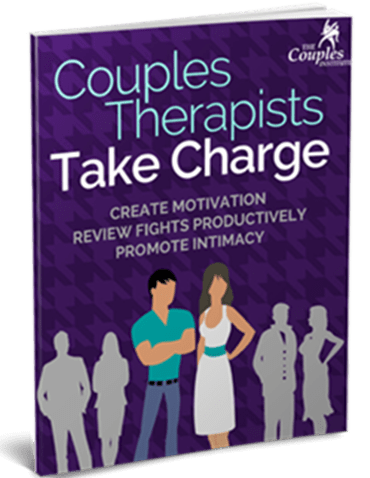 You'll be able to help create motivation, collaboration, review fights productively, and promote intimacy and interest between partners Couples Therapists Take Charge.